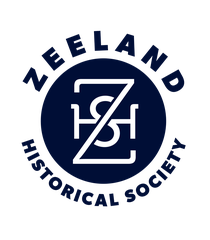 In a time with no air conditioning, Zeeland residents of 100 or so years ago sought relief from the summer heat by heading to nearby lakes. That practice continues to this day. Of course, in the first part of the 20th century, they donned wool-knit swimsuits or long dresses that covered them from neck to toe and a bonnet to top it off. That wardrobe has been tweaked a bit through the years with beachgoers opting for much less cloth and more exposed skin than their demure ancestors. Travel back to the days of old and check out how "Summer Fun" was similar and far different than today's version at the Dekker Huis/Zeeland Historical Museum. The new exhibit runs through Saturday, Sept. 5. Six vintage swimsuits from the 1920s to the '40s are on display along with summer hats from years gone by, a wide assortment of photographs, and items used for recreational fun. The oldest swimsuit highlights is a woman's ensemble from the 1920s. This one is actually made of a lighter material - cotton - but the number of layers would certainly negate any cooling effect on a steamy day. Museum manager and curator Suzy Frederick pointed out the outfit consists of a blouse with attached shorts plus an over-the-knee skirt. "Who can imagine going to the beach with all those layers of clothing? ", asked Frederick. "Women wore bloomers, a skirt and an overtop. You'd think by the time she got in the water, she would drown!" Men's swimwear being spotlighted includes: a 1920's woolen, full tank-style suit and "belted trunks from the 1940s styled for the stars of Hollywood and labeled, Catalina," said Frederick, who noted that the label was much coveted by fashion-conscious folks in that day. An array of photographs propel museum visitors back in time with images of the Ottawa Beach Hotel circa 1913; a 1915 image of people strolling along the shoreline and pier at Ottawa Beach; and picnicking, swimming and boating scenes at Macatawa from the year 1916. Both the Ottawa Beach Hotel and Lake Macatawa were premier vacation destinations back then. Many more photos adorn the walls to further submerge visitors in an era now gone but worth being recalled. The exhibition also pays tribute to another summertime favorite: picnics. A picnic basket filled with meats, crackers and hard-boiled eggs, along with a fruit basket containing nuts, reveal what meals were popular to beat the heat. An old-fashioned picnic suitcase provided a way to carry plastic dinnerware to the beach, and a cake carrier attests to a sweet tooth. The scene is complete with the inclusion of an old horse blanket on which the picnickers sat to eat and lounge. 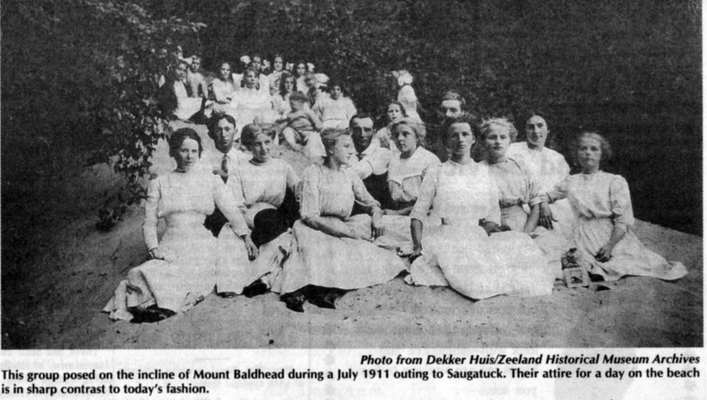 Frederick noted that Holland and Saugatuck beaches were prime picnic spots, and were often reached via the Interurban. Another mode of transportation on display was used for much shorter summer treks: an antique tricycle. The bike may have been a suitable way to reach another favorite summertime oasis: the old swimming hole in Zeeland at Grandview Nurseries on Washington Avenue near the current site of ACE Hardware. That gathering spot - which was great-grandma's version of the splash pad - remained until the mid-1940s, when it became a part of history. 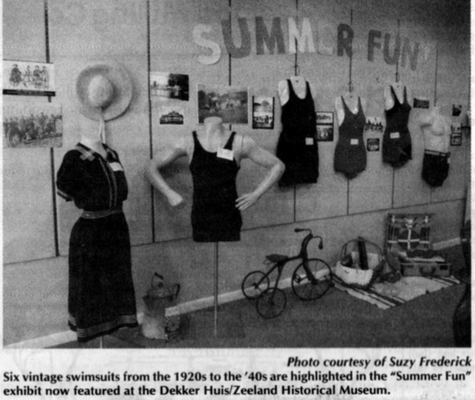 Take an opportunity to tour "Summer Fun" at the downtown Zeeland museum, located on Main Avenue between State and Elm streets. Operating hours are 10 a.m. to 5 p.m. on Thursday and 10 a.m. to 2 p.m. on Saturday. Admission is free, but donations are welcome.